The heart of our Society is our highly trained and incredibly committed volunteers. During the 2014 year, our volunteers donated more than 1550 hours to Desert Valley Hospice Society. Hospice Volunteers offer practical and emotional support and companionship to individuals nearing end of life, whether they are at home, in the hospital or in a residential care facility. Volunteers are available to read to the client, listen to their concerns, share mutual interests, or run small errands. 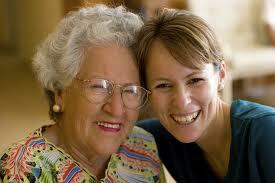 Volunteers may provide regular support, respite support, and end of life vigil. Hospice volunteers are also available to provide support to family members through the often difficult days or weeks nearing a loved one's death. Interested individuals undergo suitability screening and 36 hours of intensive training in order to qualify as a hospice volunteer. For more information about hospice volunteering, click here. Bereavement volunteers are available to support family members following the death of a loved one. Support may be in person or over the telephone, and can include regular contact for up to one year after the loved one's death. These volunteers have completed the hospice volunteer training program as well as an additional 15 hours of bereavement training. Our Board of Directors is a working board that provides the guidance as well as many of the man-hours to operate our Society. Our current Board of Directors includes individuals with diverse skill-sets and backgrounds. We are always open to considering new Board members. The time commitment required includes approximately six board meetings, six committee meetings, two x one day retreats, and special event support. If you are interested in being part of our Board, please contact us! For more information about our current Board, please click here. Throughout the year, we organize multiple advocacy, education and fundraising events. In addition, we are constantly working on various hospice related projects. Extra hands are always appreciated. No matter what your talent, background or skill-set, we will gladly put you to work! If you have a couple of hours on a one-time or regular basis to donate, please contact us!